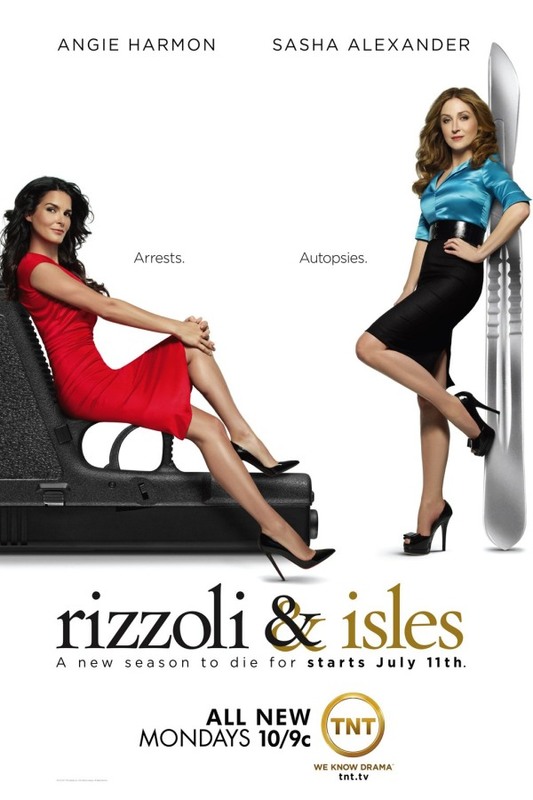 Rizzoli & Isles font here refers to the font used in the logo of Rizzoli & Isles, which is a TNT television series starring Angie Harmon as police detective Jane Rizzoli and Sasha Alexander as medical examiner Dr. Maura Isles. The font used for the logo of the TV show is Requiem Text Roman. Designed by Jonathan Hoefler in 1992 for Travel & Leisure magazine, Requiem is an old style serif typeface that takes inspiration from a set of inscriptional capitals found in Ludovico Vicentino degli Arrighi’s 1523 writing manual, Il Modo de Temperare le Penne. In addition to Rizzoli & Isles, Requiem typeface is also used in the following logos, movie posters or album covers etc., including: The Lost Boys (film), Ghost Whisperer (TV Show).